The day started out with sunshine, but the blue skies were overpowered once again by the incoming storm. 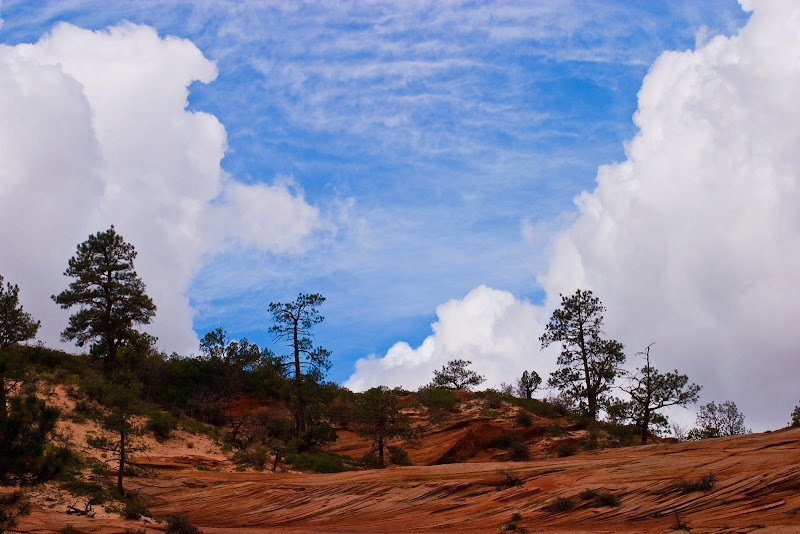 The brilliant blue skies create a vivid contrast to the red rocky slopes of East Zion. 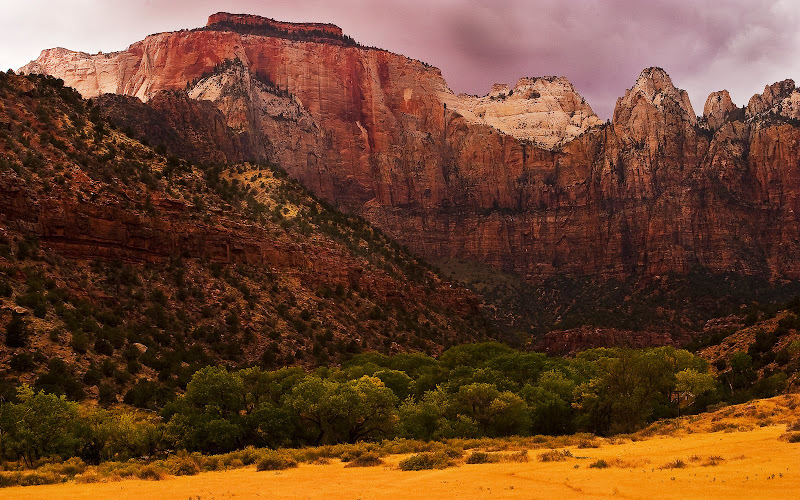 This is one of the most famous scenes in Zion National Park. The breathtaking West Temple is seen while driving along the main canyon of the park, towering above this lovely valley, golden with the yellow grasses of the Fall.